UI UX Training exists to help clients understand how user’s thoughts, feelings, and behavior intersect with user interface design. With rigorous UX research and training, we have achieved actionable results for our clients. Email info@uiuxtraining.com to learn how we can help with your UX training needs. 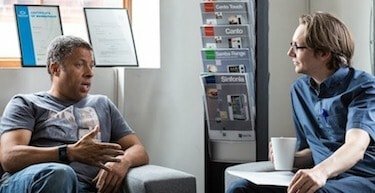 UX career coaching for individuals seeking their first UX position. Our UX career path package shows you how to shift to new areas of UX and take your UX career to the next level. UX Step-by-Step for New Practitioners: Practical, real-word research, design, and testing techniques that you can apply to your daily work. Helping your organization learn UX basics. Eric is a great all-around teacher and excels in the areas of UX research and facilitation. I highly recommend Eric to clients who need such training. Eric was great! He was very knowledgeable & approachable. Eric’s UX research skills were evident when he conducted interviews and usability tests for a variety of internal and customer-facing projects. In the nearly three years we have worked together, Eric has helped our team members sharpen their skills while refining their own ideas about complex issues around UX research, strategy, and design. Eric presented very relevant information. He was passionate and engaging. The good news? Many organizations are committing to serious and long-term research efforts based on the user’s experience. The concern? The pressure to move quickly makes it’s all too easy to skimp on preparation or adopt bad habits even for those who have worked in the field for many years. The resources outlined below are listed from basic to more advanced discussions for highly experienced researchers. Refer your junior UX colleagues to these resources and take a peek yourself. These sites and books outline sound methods and best practices for UX research and facilitation. Journey maps are a good way for newer UX researchers to learn how to uncover insights because the exercise reveals customer attitudes at various touchpoints with your organization. 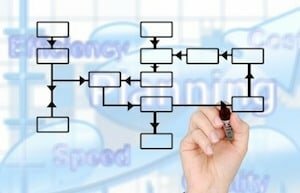 The author concisely outlines the steps for creating a journey map explaining that many journeys can be completed in a day. The goal is to gain a shared understanding of the customer and offer UX researchers the chance to learn and contribute to an enhanced customer experience. Author and behavioral scientist Dr. Susan Weinschenk is a first-rate teacher who shows UX practitioners how to conduct research that will benefit your users and your organization. Seasoned researchers will appreciate Portigal’s tips for handling tough interview situations such as what to do when the participant won’t stop talking. Perhaps most enjoyable are Portigal’s assessments of predictions. Seasoned interviewers will likely agree with Portigal’s statement that interviews are not good at predicting future behavior because even when interviewees are discussing the future their reference point is their current mental model. Portigal has written a fun, insightful, and eminently practical book about the art and science of interviewing. Silos, failed communication, and no buy-in from leadership are among the challenges Kim Flaherty of Nielsen Norman Group cites as she explains why personas often remain literally and figuratively stuck to the wall. Show colleagues working on Agile projects how to influence discussion with personas as user-data references. 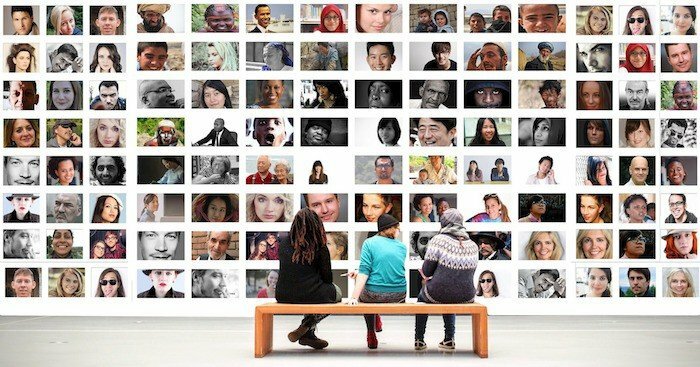 These techniques might seem like common sense until you pause to consider how few organizations create and truly integrate personas into the product and design process. The effort to adopt a persona-based mindset is worth the effort as I witnessed recently when a large company in the financial space spent a year developing and socializing robust personas. The result? Developers and product managers asked for copies of the personas and often followed up with questions while executives referred to these same personas during company-wide planning sessions. Read Flaherty’s article and follow her advice. Your team and your organization will benefit. First Morville strives to understand the user’s culture. When running a usability test, for example, evaluating the UI is only half of the job. The other half is uncovering the user’s beliefs, values, and behavior. Understanding the user’s behavior is not a new idea. What distinguishes Morville’s work is his effort to probe in order to understand the user’s worldview, sources they trust, and why they behave in certain ways. Second, Morville aims to understand his client’s culture. This understanding includes but also extends beyond stakeholder interviews. Morville explains the importance of reading between the lines to avoid mistaking surface for substance. Think about it this way. As UX researchers, we don’t simply take users at their word; we examine their performance and behavior. I take Morville to mean that we should do precisely the same with stakeholders. In other words, as UX researchers we must investigate our client’s culture as well as user’s needs and culture. This book is not about UX, but it might as well be. Journalist Warren Berger shows corporate professionals how they can leverage his inquiry-driven profession to sharpen their research and interviewing skills. Tight for time? Read Berger’s account of the amusing and insightful marshmallow story in Chapter 3 (no, not the famous Stanford marshmallow study about delayed gratification). Then turn to Chapter 4 where Berger asks how to create a culture of inquiry. Drawing on Eric Ries’s The Lean Startup, Berger shows how to shift our thinking from what we will build to what we will learn. This book is especially useful for UX Researchers who work in the cross-cultural space. In short, the authors argue that the future is far from home meaning that researchers, innovators, and business leaders have much to learn from their peers in emerging markets. In “Chapter 5: Logitech and the Mouse that Roared” the authors explain how Logitech lost market share by ignoring the needs of Chinese customers in densely populated cities. In “Chapter 6: Procter & Gamble, Innovating the Un-P&G Way: In emerging markets, unfamiliar customer needs trump leading-edge technology” the authors show why field observation and in-person interviews are essential to understanding customer needs, in this case the needs of Mexican women who buy feminine hygiene products.